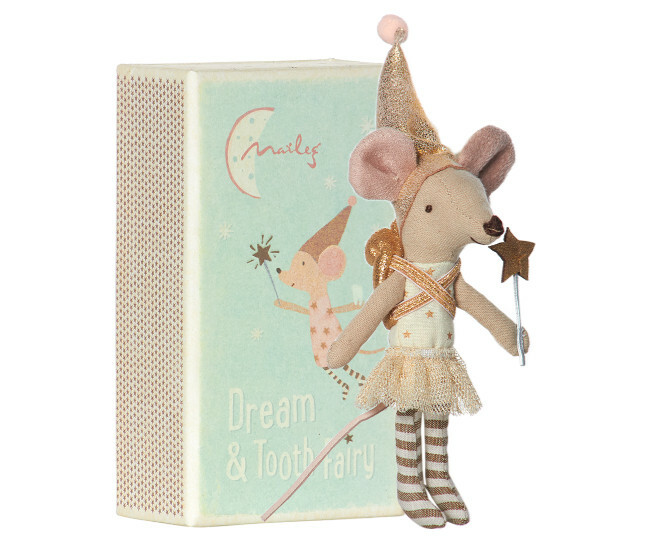 At night, the Tooth Fairy Mouse spreads her fairy dust, collects lil' baby teeth, brings treats and always makes sure you have the sweetest dreams. 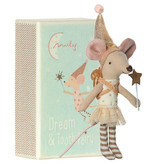 It has a pocket for a tooth and coins and the hat is removable. 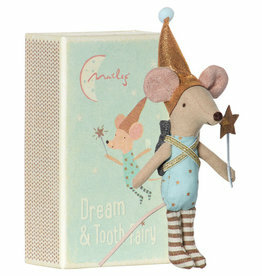 The Tooth Fairy Mouse comes in a beautifully-colored matchbox. She uses the box to sleep during the day so she can re-energize for her night out collecting lil' baby teeth.